Celebrating the finesse of Italian elegance and sophistication, Salvatore Ferragamo Signorina Eau de Toilette (30ml) forms the perfect gift for her. Using an uplifting blend of floral and fruity notes, this enchanting fragrance will delight your day with an air of sweetness and joy. The perfume opens with fizzy top notes of currant and pink pepper for a spicy scent that animates the senses. Heart notes of jasmine, rose and peony provide the perfume with a feminine twist, while a soft base of musk, patchouli and panna cotta will leave you with a woody, elegant finish. 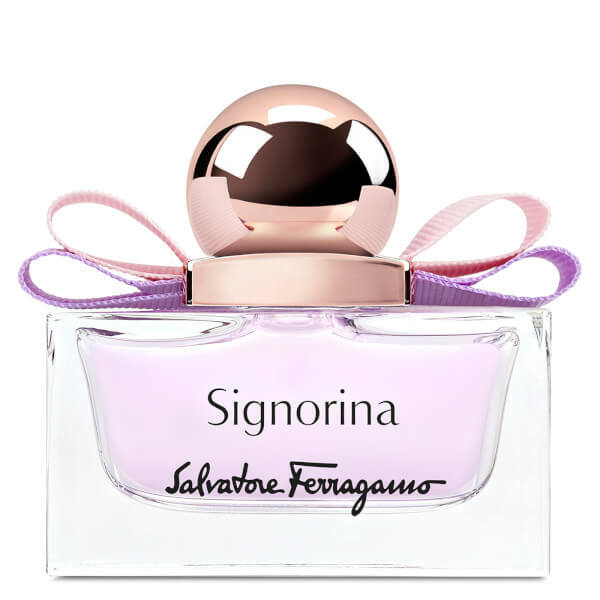 Salvatore Ferragamo Signorina is beautifully presented in a glass bottle with a pink grosgrain ribbon for an enthralling addition to your dressing table! – N.P.